Introducing Market Insider, the FREE report that gives you valuable, customized, and up-to-date information on real estate trends in your local communities. Whether you're buying or selling a home, you'll have access to the data you need to make informed decisions in this ever-changing market. Create a customized Market Insider report on the areas you care about most, and then sign up to receive FREE monthly updates. 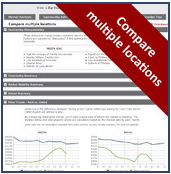 Market Insider provides home listing and sale prices, community demographics, school ratings, side-by-side neighborhood comparisons, and more! 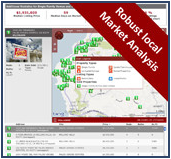 Whether you are looking to sell and want local market data, or are thinking about buying and want to explore different homes and neighborhoods, here is a great resource for you! For more information, and to discuss how to interpret this data for your situation, please reply by email or call! Market Insider offers a wealth of current information to help you make the best real estate de cisions. Become a "Market Insider" today!